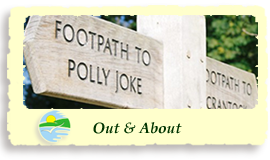 All accommodation are based on 3 or 4 people sharing. 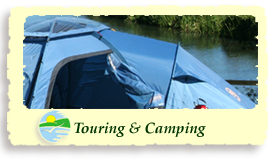 A deposit of £100 per week is required to secure booking. 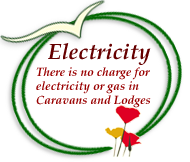 There is no charge for electricity or gas in the caravans and lodges. All cottages have electric meters (£1). Travel Cots are available to hire at £5.00 but visitors are requested to provide their own cot sheets and blankets. High chairs are available free of charge. 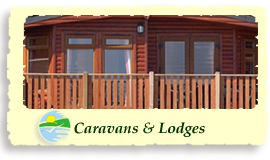 Bed Linen is supplied free of charge in the Cottages and Lodges but not caravans. We do not supply towels in any of our accommodation. Please note that only one Dog is acceptable in any holiday accommodation, by prior arrangement only. There is a charge of £25.00 per dog per week and it should be noted that the Dog must not be left unattended in any holiday accommodation or allowed to lie on beds or furniture. Please bring your dog's own bedding. Please Note Dogs are NOT ALLOWED in Treago Lodges. Children aged 16 years and over at the adult rate. CAMPING FEES MUST BE PAID ON THE DAY OF ARRIVAL. During the High Season, pitches are available for reservation from Friday to Friday or Saturday to Saturday. During Low Season, any dates may be booked. In order to reserve a pitch, please complete the booking form and enclose a £50 deposit. On the day of arrival the deposit of £50 will be deducted from your site fee.